These night tables were designed and executed to work with the customer’s antique bed. 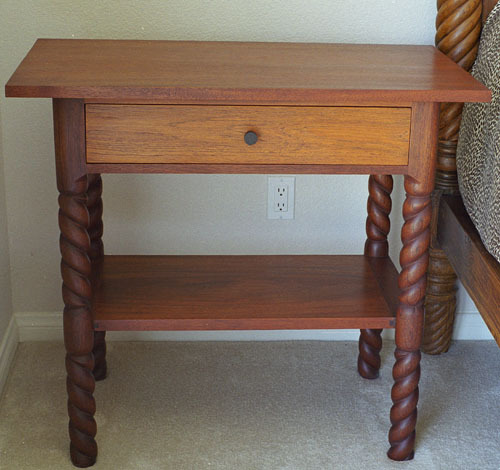 We created a spiral leg table in Mahogany, with a Teak drawer front. 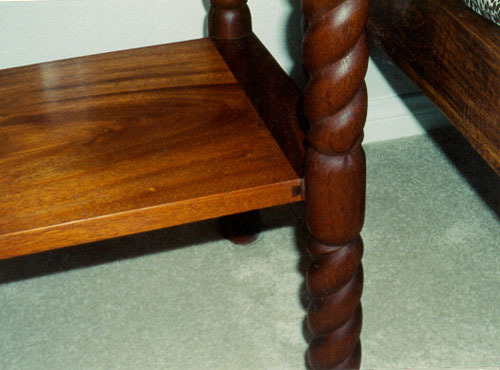 You may also notice that the lower shelf is built with a dove tail, this is to allow seasonal movement of the solid Mahogany shelf.